The countries that are part of the Association of Southeast Asian Nations (ASEAN) organization have called on North Korea to comply fully with its obligations arising from all relevant United Nations Security Council (UNSC) resolutions in the wake of the recent escalation of tensions in the region. MOSCOW (Sputnik) — ASEAN member states expressed concern over the escalation on the Korean peninsula, called on North Korea to meet its obligations in accordance with the UN Security Council resolutions, a statement released by the ASEAN leaders said on Sunday. 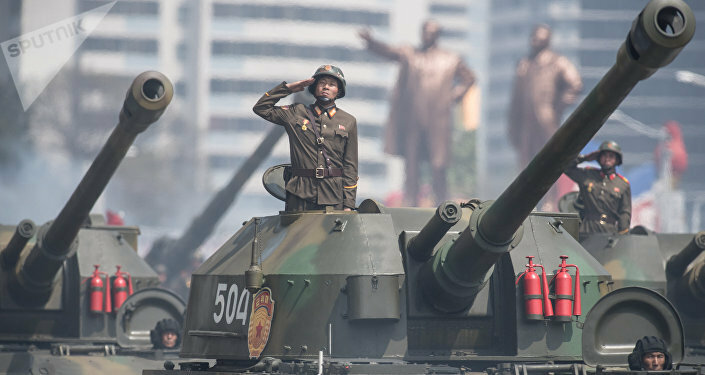 "We urge the DPRK to immediately comply fully with its obligations arising from all relevant United Nations Security Council (UNSC) resolutions and stressed the importance of exercising self-restraint in the interest of maintaining peace, security and stability in the region and the world," the Chairman’s statement read, expressing "grave concern" over Pyongyang’s actions. The recent missile launches and nuclear tests conducted by North Korea "have resulted in an escalation of tensions that can affect peace and stability in the entire region," the statement, released after the 30th annual summit of ASEAN, stressed. On Saturday, North Korea carried out its third ballistic missile test in April, with the missile reportedly exploding over North Korean territory shortly after the liftoff. The Association of Southeast Asian Nations (ASEAN), is a regional intergovernmental organization established in 1967, which brings together 10 countries in Southeast Asia: Brunei, Cambodia, Indonesia, Laos, Malaysia, Myanmar, the Philippines, Singapore, Thailand, and Vietnam. The association seeks to enhance regional cooperation in the economic, social, cultural and other spheres, as well as to promote peace and security.